Macedonia's parliament voted on Friday constitutional changes adopting the new name "Republic of North Macedonia" to end a row that has long poisoned relations with neighbouring Greece. The change, accepted by the necessary two-thirds majority, is also necessary to unblock Skopje's efforts to join the EU and NATO. Greece rejects the name Macedonia, adopted by the country at its independence 27 years ago, as it is also that of a large Greek region that evokes national pride as the cradle of Alexander the Great's ancient empire. Macedonia proclaimed its independence from Yugoslavia in 1991 but international recognition was immediately stalled by Greece, because of its name. 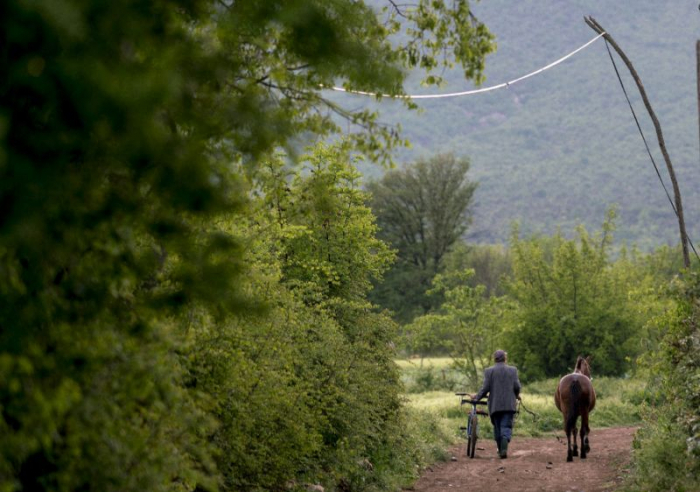 Besides claiming the title as part of its heritage and identity, Greece feared Skopje could harbour territorial ambitions over its own region of Macedonia just across the border. It was only with the adoption of a provisional name -- the Former Yugoslav Republic of Macedonia (FYROM) -- that the country was finally admitted into the United Nations in 1993. Most other nations, including Russia and the United States, later recognised its constitutional title, the Republic of Macedonia. In 1994, Greece imposed an economic embargo on Macedonia and prevented it from using the Greek port at Thessaloniki, Skopje's main trading post. Greece also demanded that Macedonia drop from its flag the golden sun of Vergina, claiming it as an ancient Greek symbol, as well as certain articles from its constitution. In 1995 the neighbours signed an accord in New York opening the way for a normalisation of trade and political ties but leaving the name dispute hanging. The following month they opened liaison offices in their respective capitals and a new Macedonian flag -- without the controversial sun symbol -- was raised for the first time at the United Nations. In 2001, Greece expressed support for Skopje as it faced an armed conflict with ethnic Albanian rebels. After Macedonia became a candidate for EU membership in 2005, Greece blocked the start of negotiations, still rejecting its title. In 2008 Macedonia was invited for membership of NATO under the provisional name, but again faced a Greek veto. Relations sank with the erection of a huge statue of Alexander the Great in Skopje in 2011. Athens viewed it as an attempt to appropriate one of its greatest heroes. Soon after his election in May 2017, Macedonian Prime Minister Zoran Zaev promised a new push to settle the name dispute as he relaunched the drive for EU and NATO membership. Negotiations were restarted in January 2018 under UN auspices, despite strong opposition from nationalists in both countries. In June, the two sides settled on "Republic of North Macedonia", a name later ratified by the Macedonia parliament. A September referendum among Macedonians returned 90 percent agreement with the name change. However two-thirds of registered voters stayed away from the ballot. In October, Macedonia's parliament, which must approve constitutional changes, voted by a razor-thin majority to begin the process of renaming the country. The parliament in December voted for a second reading of the four amendments required to the constitution, with the final vote passed on Friday. Greece's parliament will also have to vote on the name change.